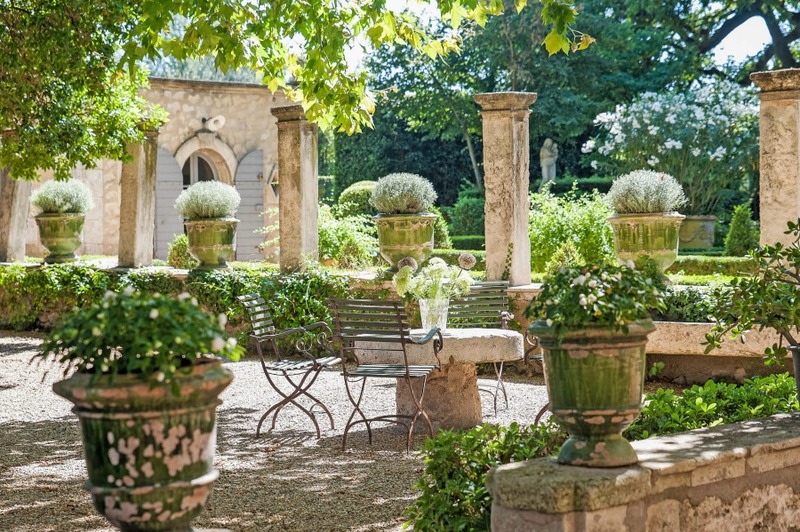 We began our tour of this Beautiful French Country Bastide: Château Mireille in my last post (see it HERE), and today, the magic continues as we explore this vacation rental (from Haven In). 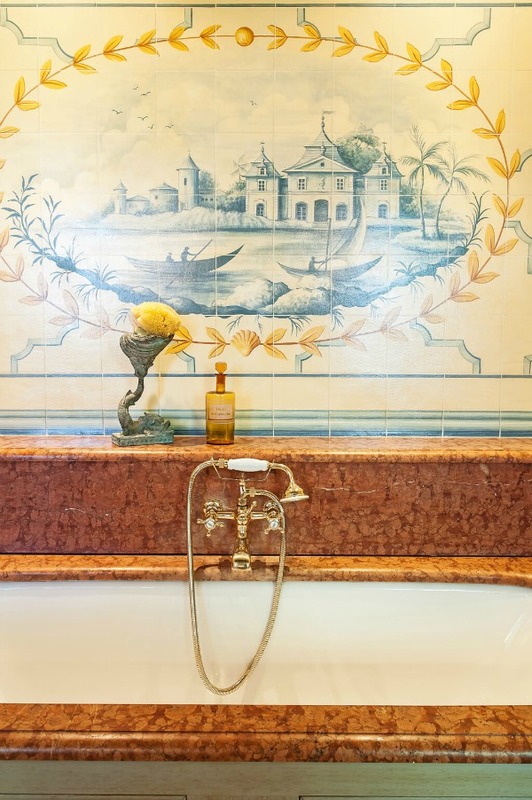 We’ll be treated to the chateau’s breathtaking French country gardens and Old World interiors filled with timeless architectural details and traditional French elegance. 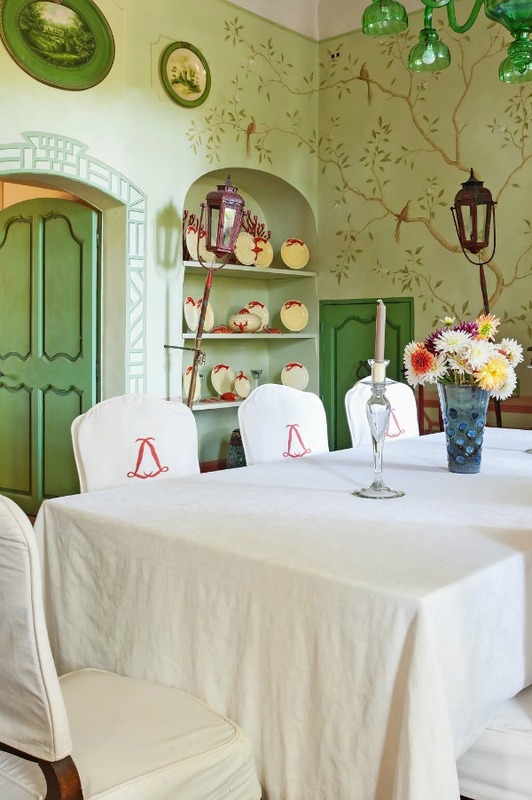 Rustic and elegant: Provençal home, European farmhouse, French farmhouse, and French country design inspiration from Château Mireille. Photo: Haven In. 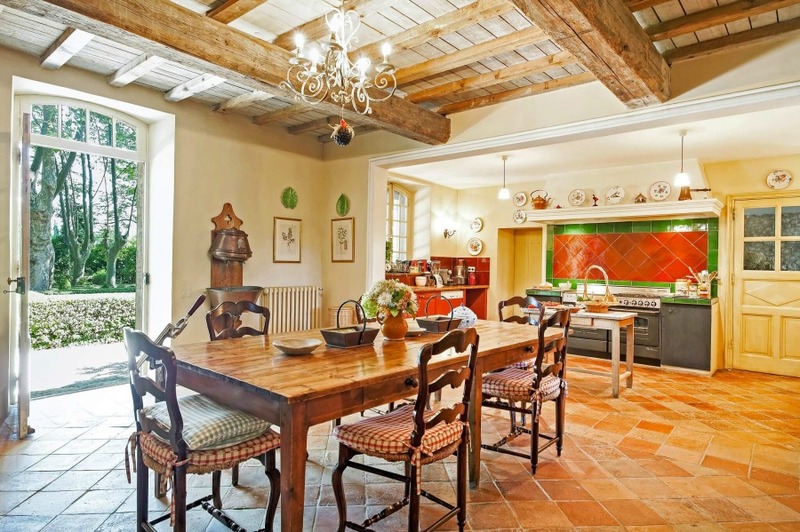 South of France 18th century Provence Villa luxury vacation rental near St-Rémy-de-Provence. Certainly lovely indeed! 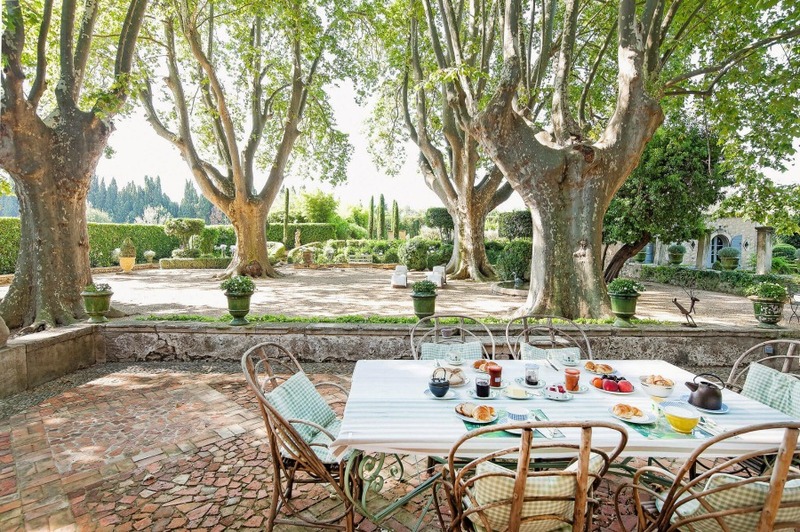 This luxurious and elegant 18th-century Provence manor, or bastide, is an authentic luxury villa rental available through Haven In. 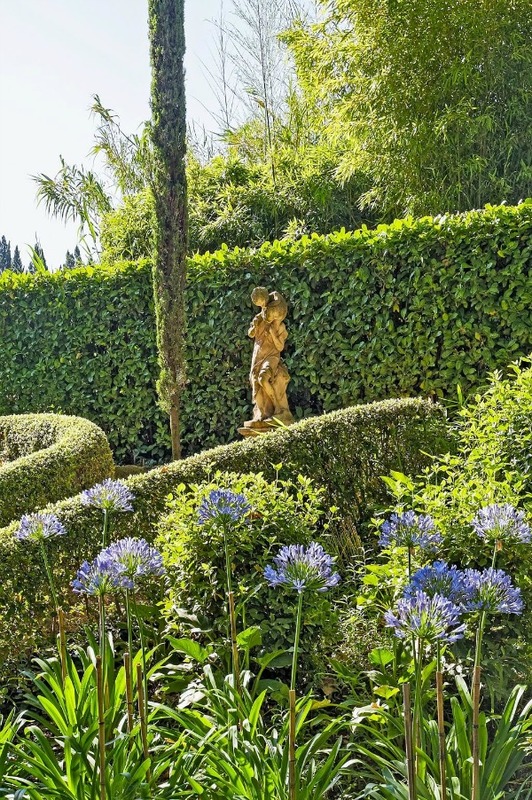 Just a 10 minute stroll from the charming village of St-Rémy-de-Provence, this historical French chateau will transport you to a different era! 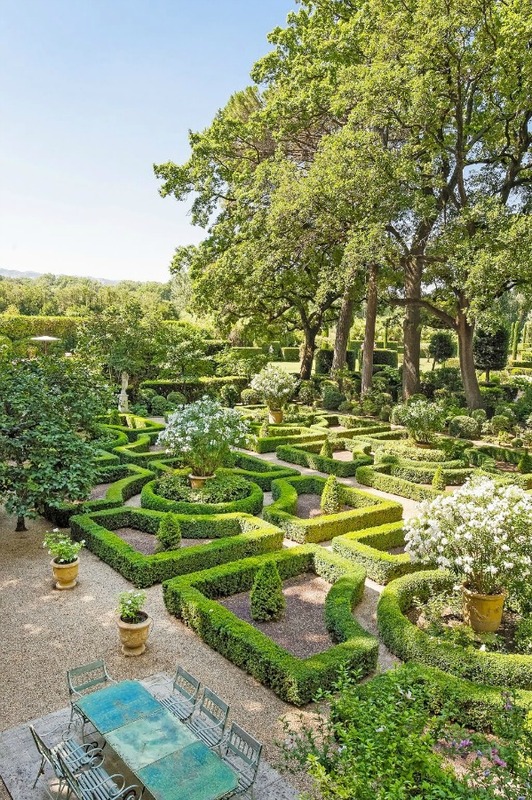 Because we need French garden inspiration too! 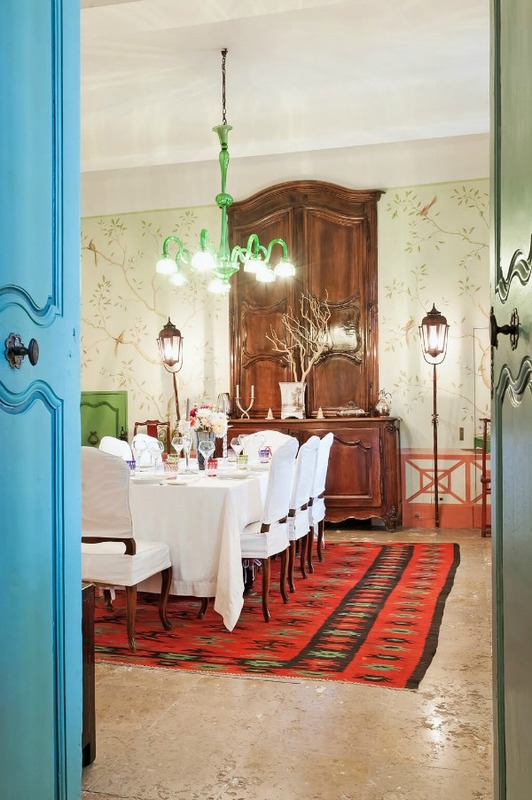 Rustic and elegant: Provençal home, European farmhouse, French farmhouse, and French country design inspiration from Chateau Mireille. Photo: Haven In. 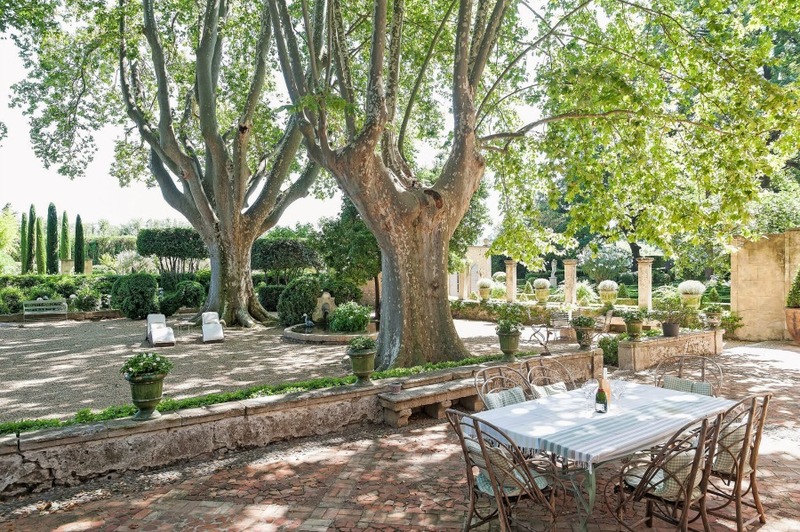 South of France 18th century Provence Villa luxury vacation rental near St-Rémy-de-Provence. Certainly lovely indeed! 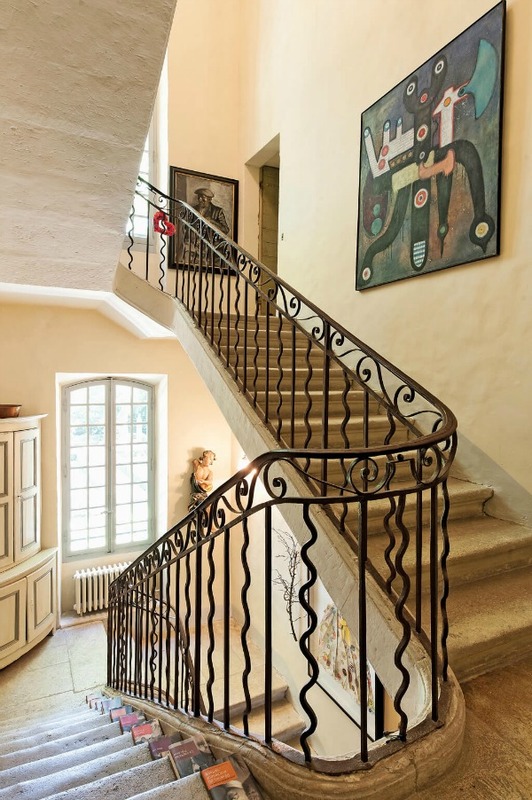 Inside and out, find French tradition and style. 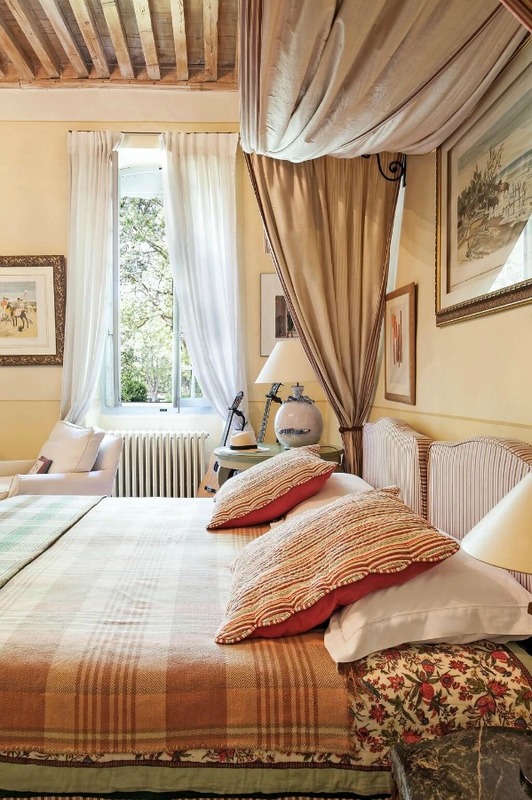 With seven breathtaking bedrooms, three floors, extensive grounds, and a live-in housekeeper, Château Mireille is destined to inspire with its Old World and timeless Provençal charm in the South of France. 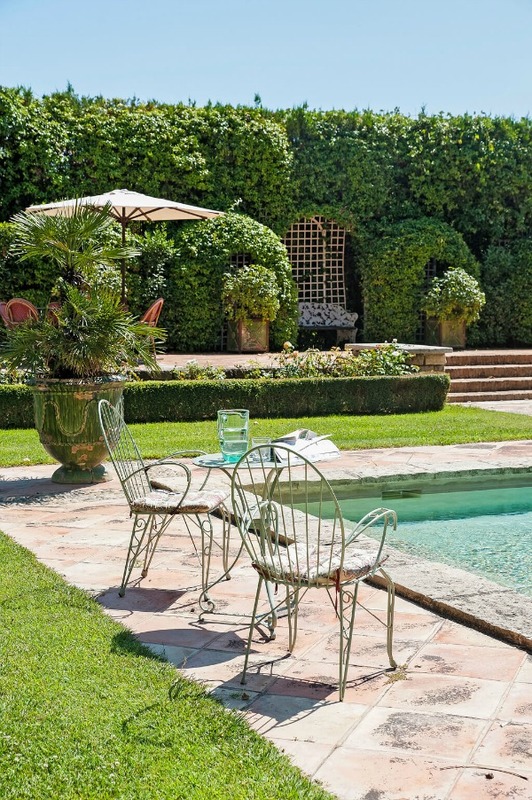 Because we need French garden inspiration too! 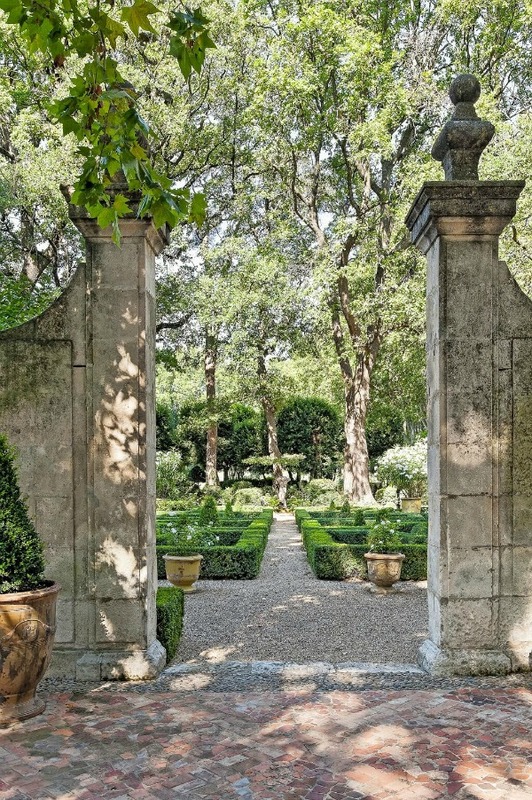 Rustic and elegant: Provençal home, European farmhouse, French farmhouse, and French country design inspiration from Château Mireille. Photo: Haven In. 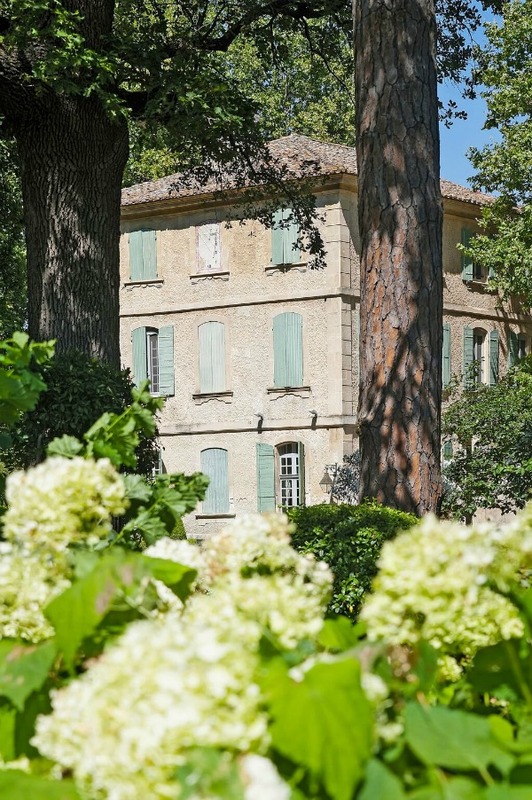 South of France 18th century Provence Villa luxury vacation rental near St-Rémy-de-Provence. Certainly lovely indeed! 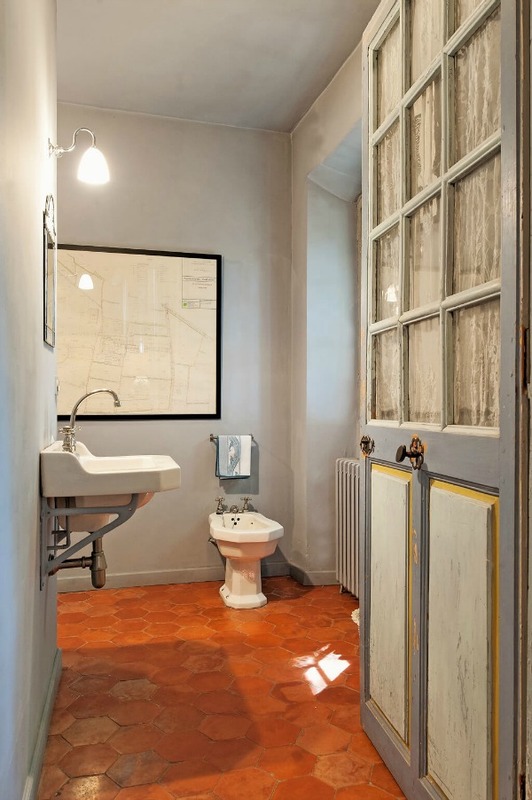 This Provençal vacation rental is situated within easy access to St-Rémy-de-Provence, a historic village in the heart of Provence. The village offers all of the charm of a typically Provençal way of life with its friendly inhabitants, daily markets, and its many festivals and celebrations. 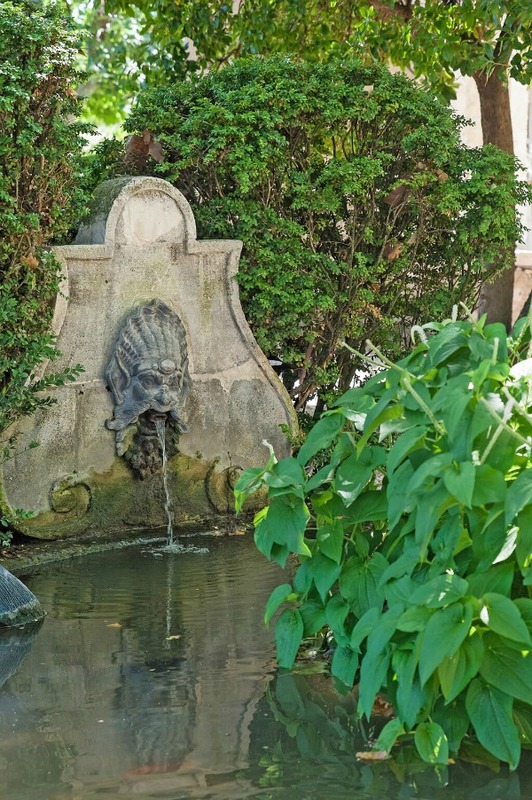 It is easy to fall for this charming town at the foot of the Massif des Alpilles. 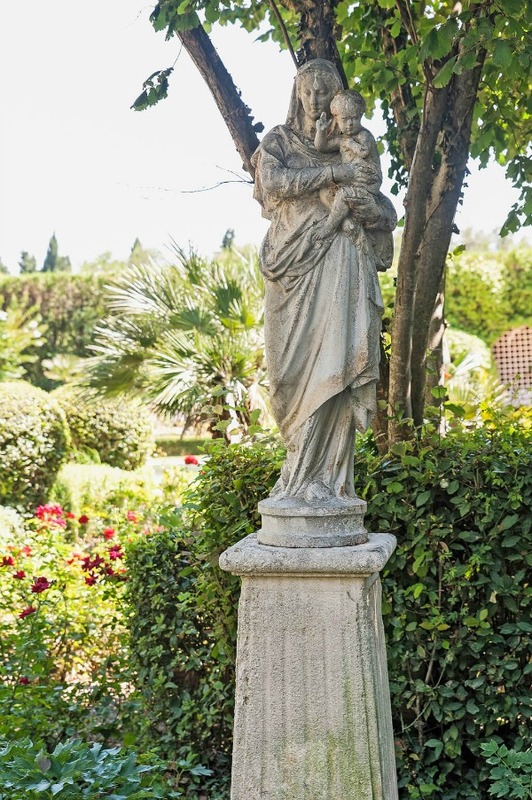 “Saint-Rémy-de-Provence is such a sweet town. 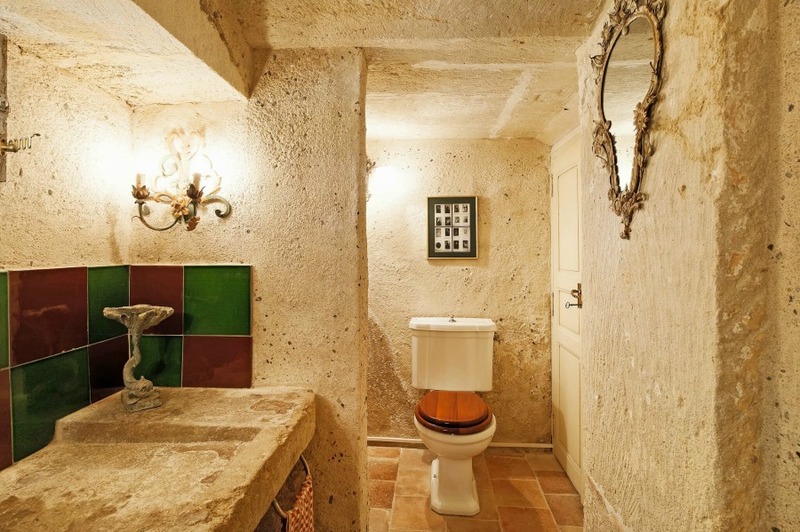 If you go, be sure to check out the table d’hôte (so not quite a restaurant–there’s no menu to choose from; you take what’s served) at a house built into a cave in a former Roman quarry. Just past the asylum where Van Gogh stayed.” Read about it RIGHT HERE. The area is home to many cafés, restaurants, and historic sites, all within a setting of cobblestone streets and authentic architecture. 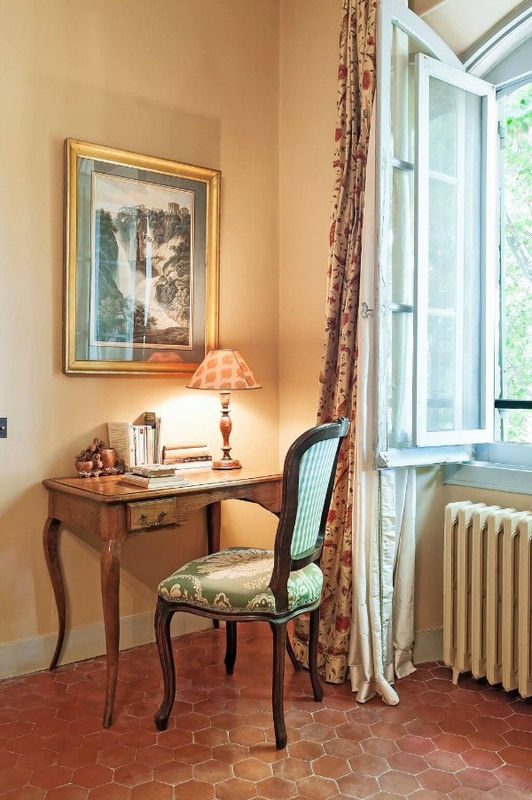 A stay at the Château Mireille makes it possible to explore the magnificent landscape offered by the mountains, now classified as the Parc Naturel Régional des Alpilles (Alpilles Region Natural Park). If French wine is your passion, rejoice. The chateau’s location is near many famed French wine producers. Aren’t the Old Urns Incredible? 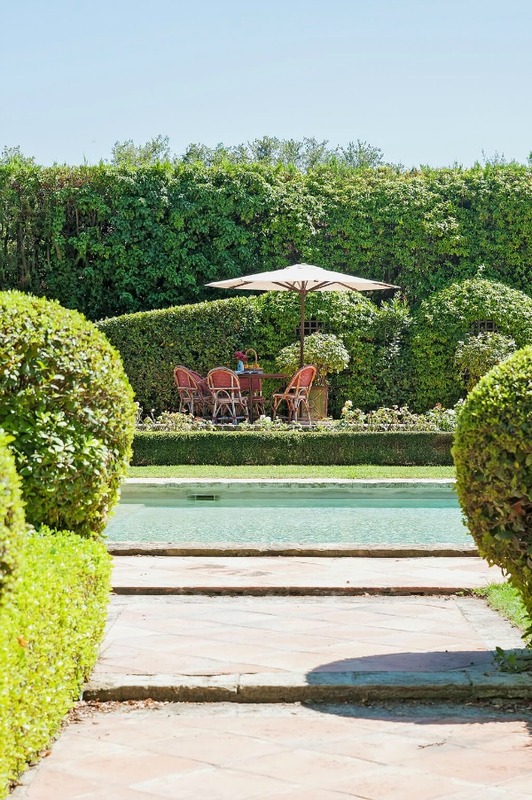 Château Mireille has a breathtaking setting with professionally landscaped grounds. 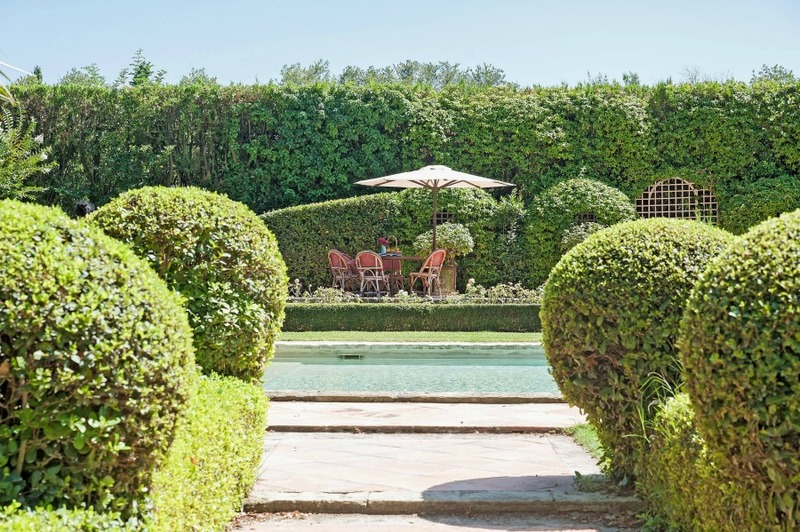 Find a formal garden with topiary, a beautiful pool with terrace overlooking the gardens, tennis court, and multiple outdoor seating and dining areas. 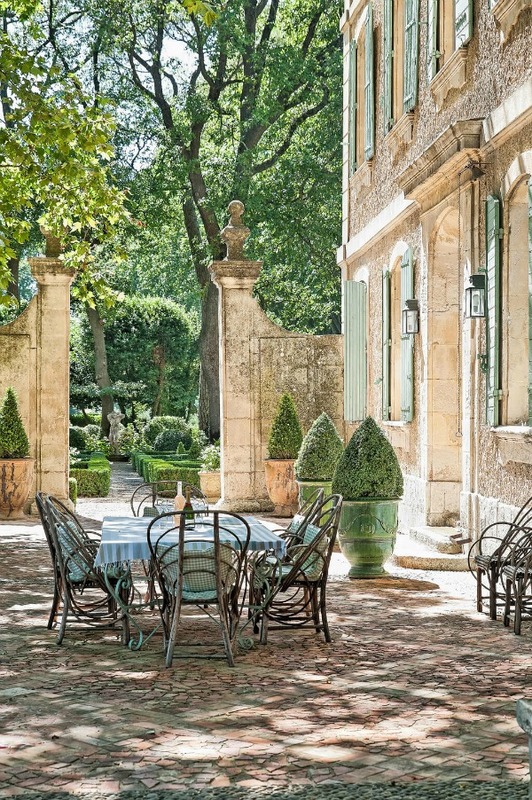 There is plentiful outdoor space to enjoy the perfect Provençal weather. 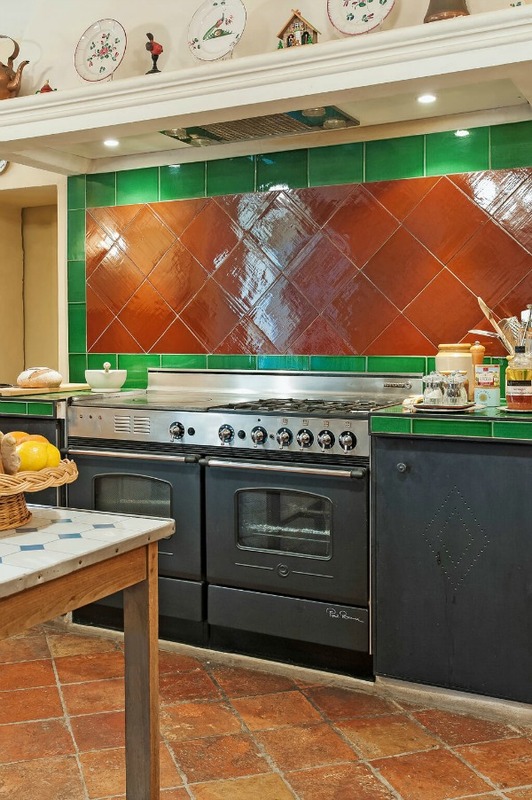 Just beyond this charming property? 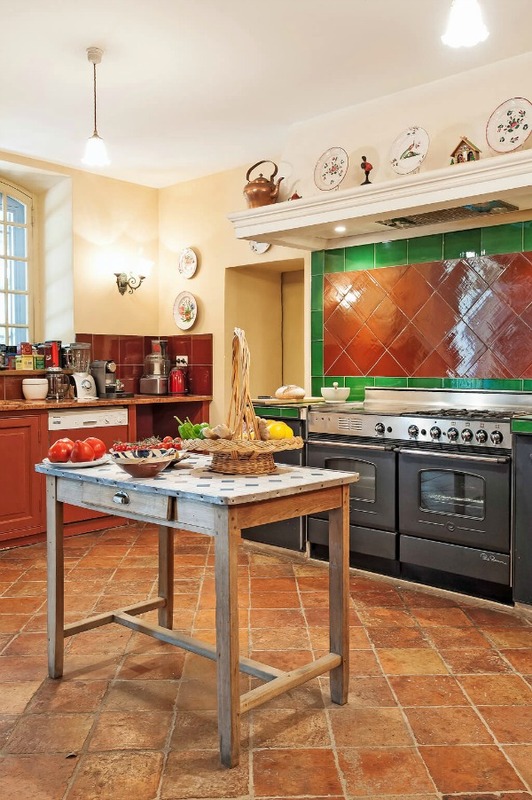 French countryside bliss with lavender fields, wineries, rolling hills, and charming villages. 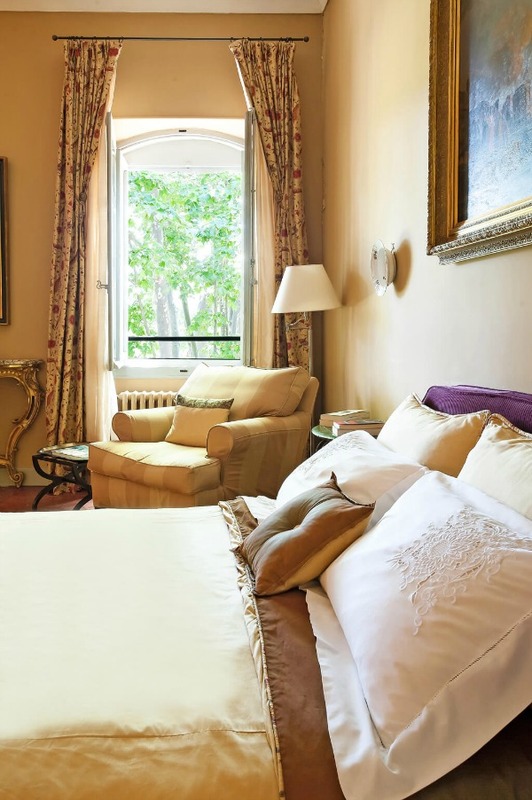 Each room within Château Mireille is truly one of a kind! 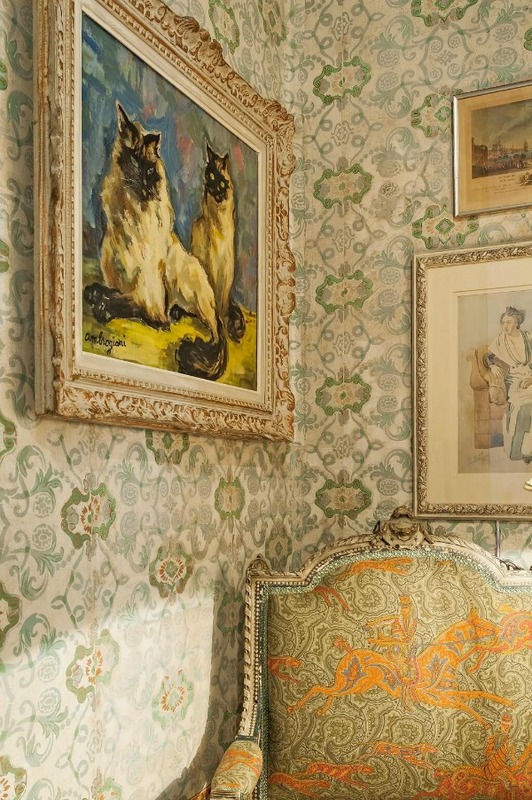 Unique antiques, original artwork, and lovely architectural features and personality you would expect from a historic French country home. 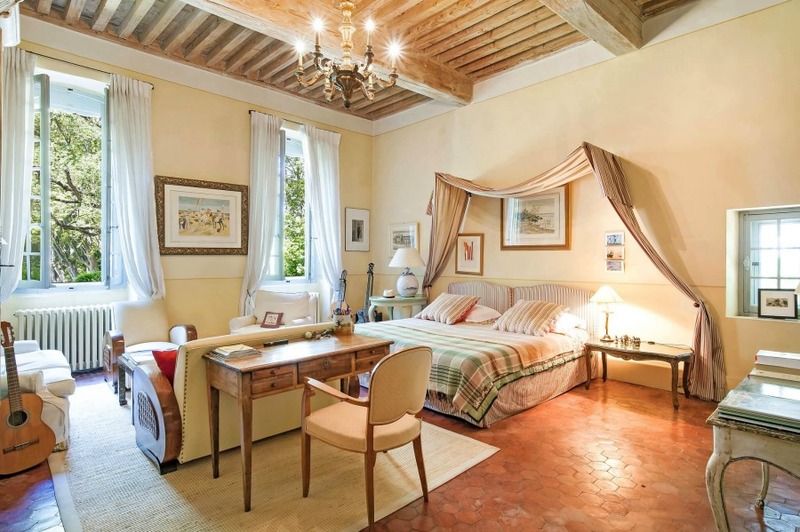 Stucco exterior with terracotta tiles, wood beams and floors, crown molding, high ceilings, and much more. 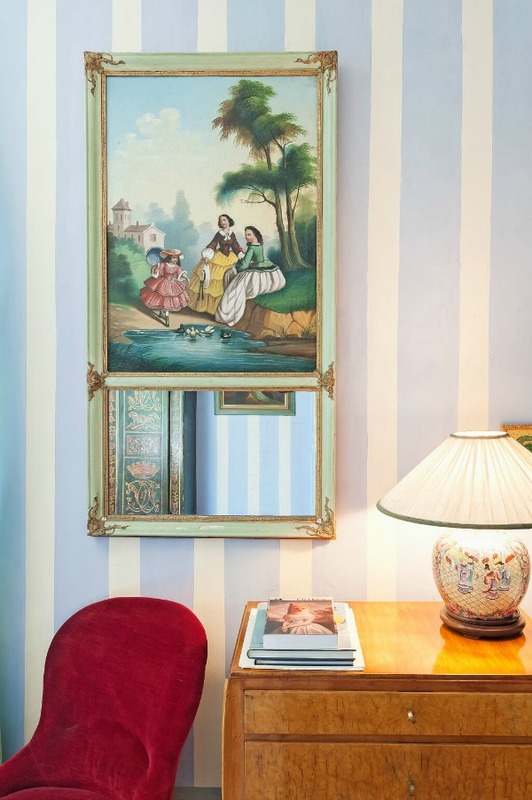 Because we need French country interior design inspiration too! 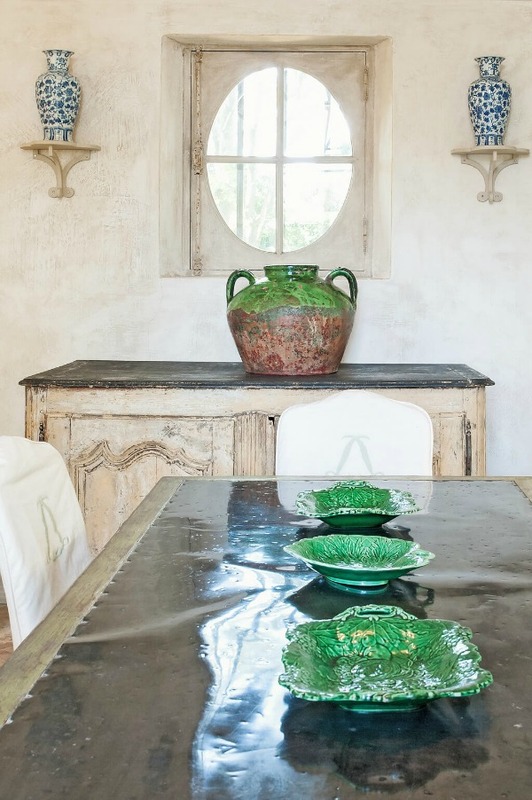 Rustic and elegant: Provençal home, European farmhouse, French farmhouse, and French country design inspiration from Château Mireille. Photo: Haven In. 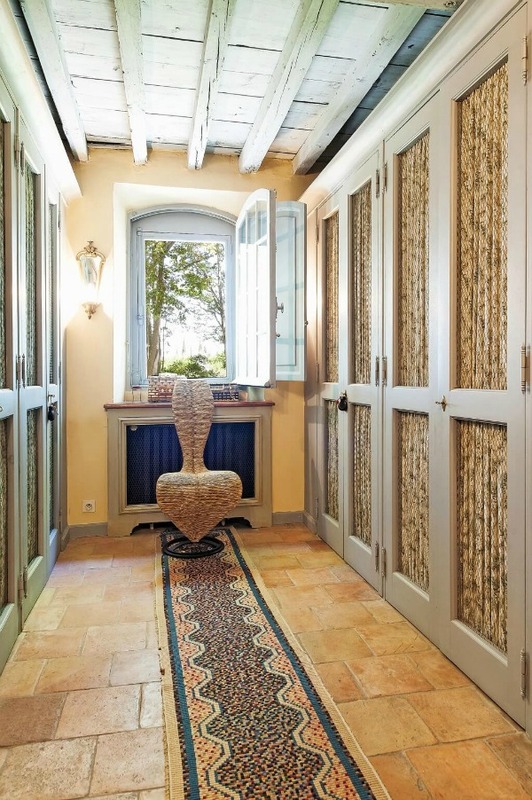 South of France 18th century Provence Villa luxury vacation rental near St-Rémy-de-Provence. Certainly lovely indeed! On the ground floor are two comfortable living rooms/seating areas, a fully equipped kitchen with modern appliances (including double ovens), and a formal dining room with large fireplace. Each morning, the housekeeper prepares breakfast for guests – truly a luxury getaway. 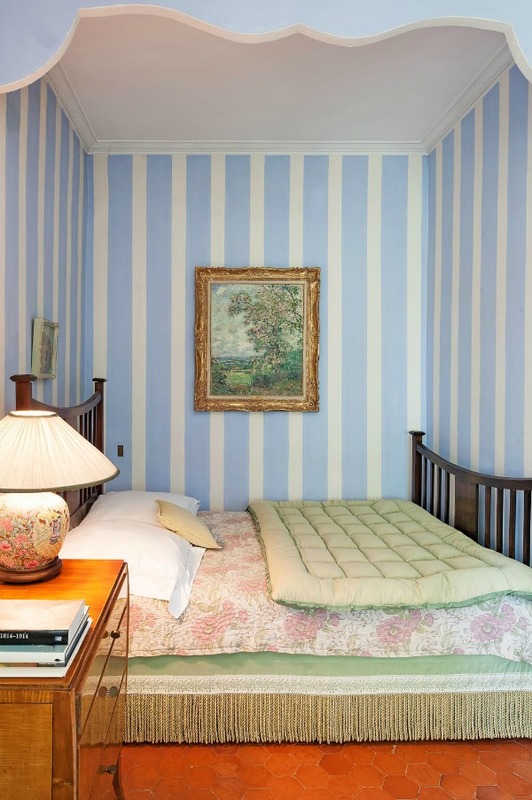 Because we need French country bedroom inspiration too! 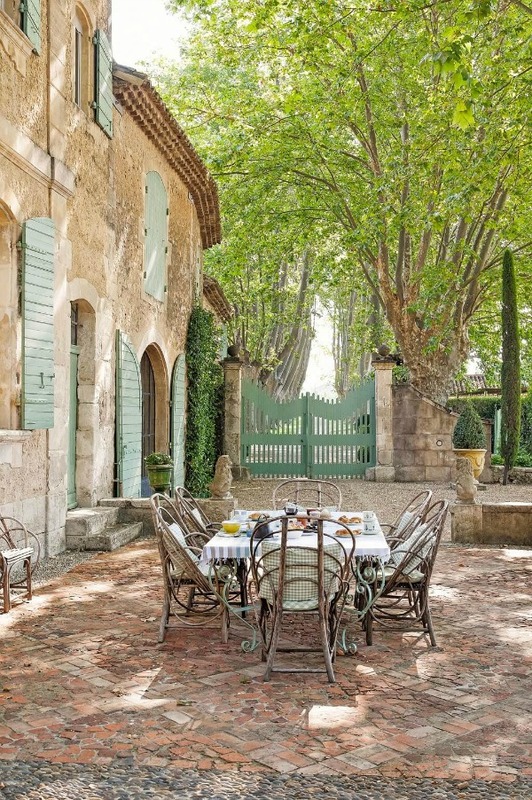 Rustic and elegant: Provençal home, European farmhouse, French farmhouse, and French country design inspiration from Château Mireille. Photo: Haven In. 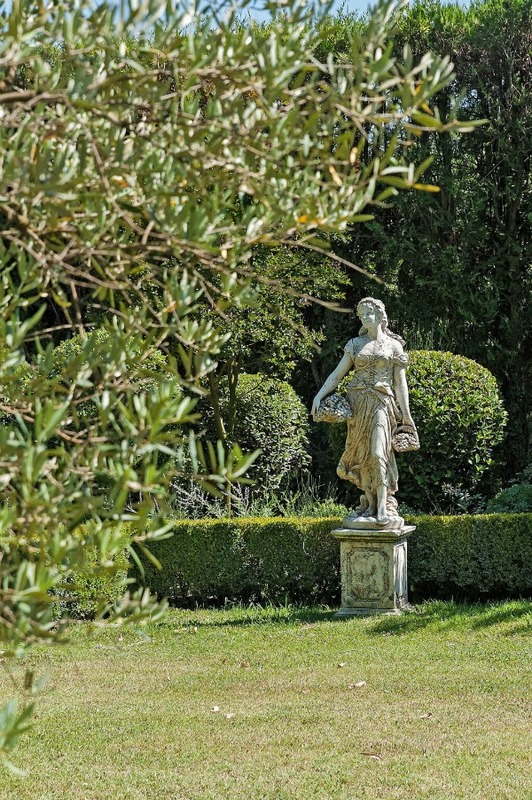 South of France 18th century Provence Villa luxury vacation rental near St-Rémy-de-Provence. Certainly lovely indeed! On the first floor, find a grand staircase, office, Master Bedroom with its own en suite full bathroom and powder room, and a spacious guest bedroom. The second floor contains a full bathroom (the second floor is a half floor, accessed through the stairwell). 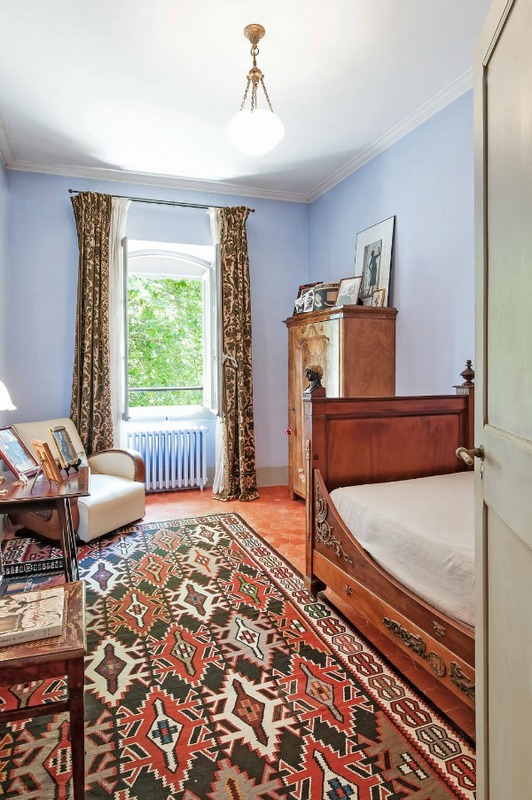 The third floor has five lovely bedrooms with varied bed configurations and a full bathroom available in the hallway. Three of these bedrooms have their own ensuite full bathroom. 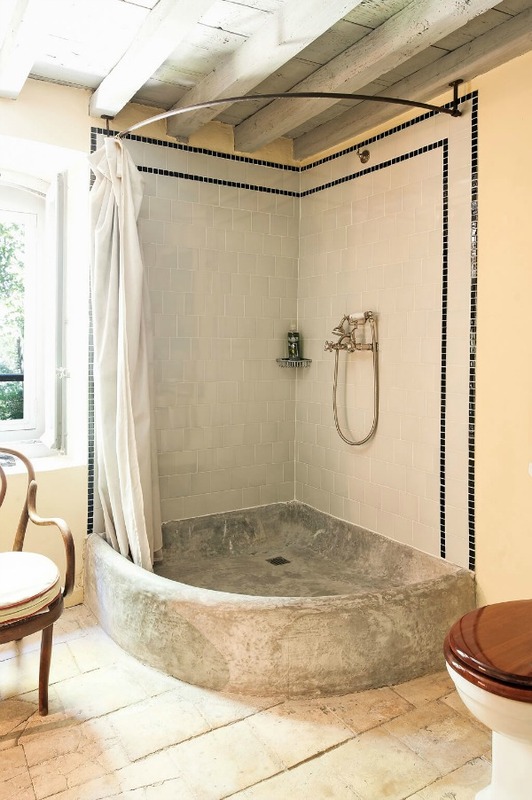 All bedrooms offer high quality linens, and all bathrooms have been updated to modern standards while retaining historic charm. 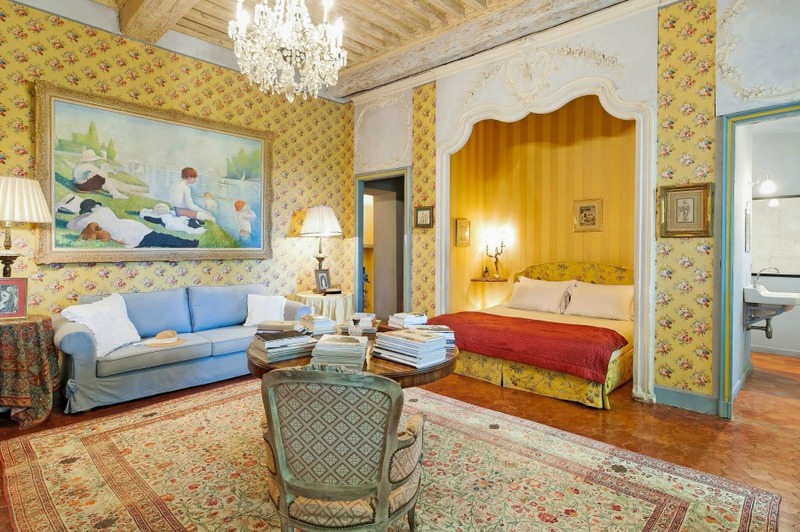 Isn’t This Exceptionally Well Done to Preserve Original Charm? 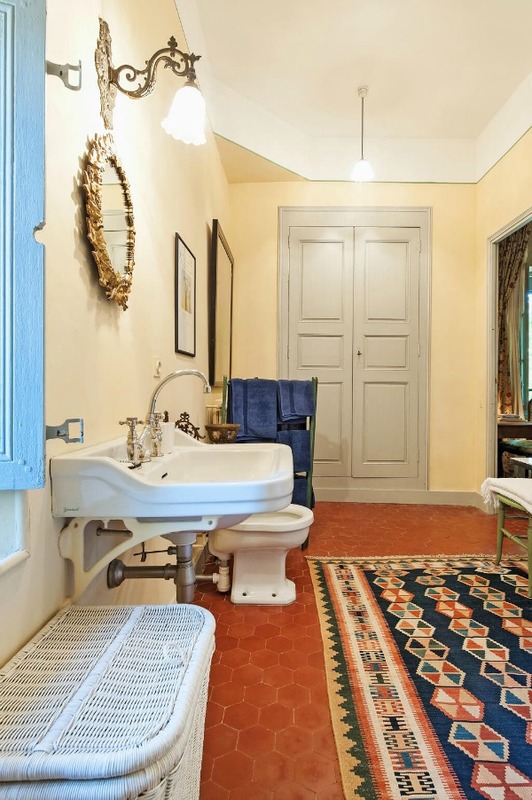 Because we need French country bathroom inspiration too!Rustic and elegant: Provençal home, European farmhouse, French farmhouse, and French country design inspiration from Château Mireille. Photo: Haven In. 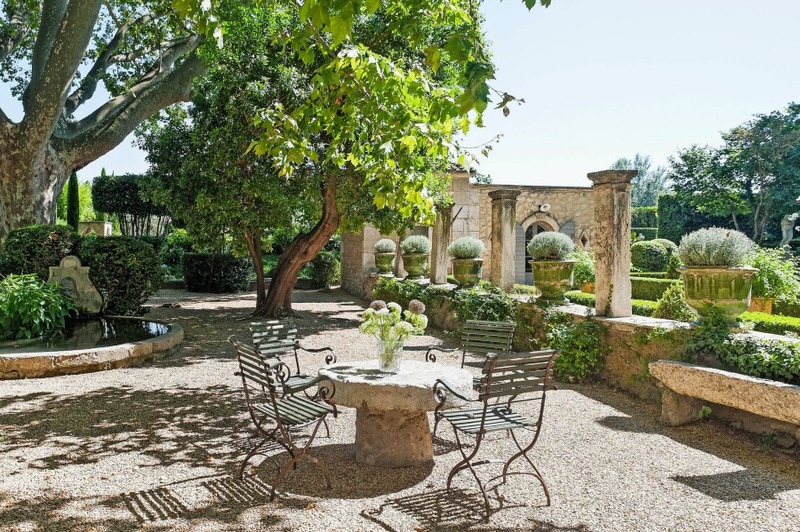 South of France 18th century Provence Villa luxury vacation rental near St-Rémy-de-Provence. Certainly lovely indeed! Because we need rustic decor inspiration too! 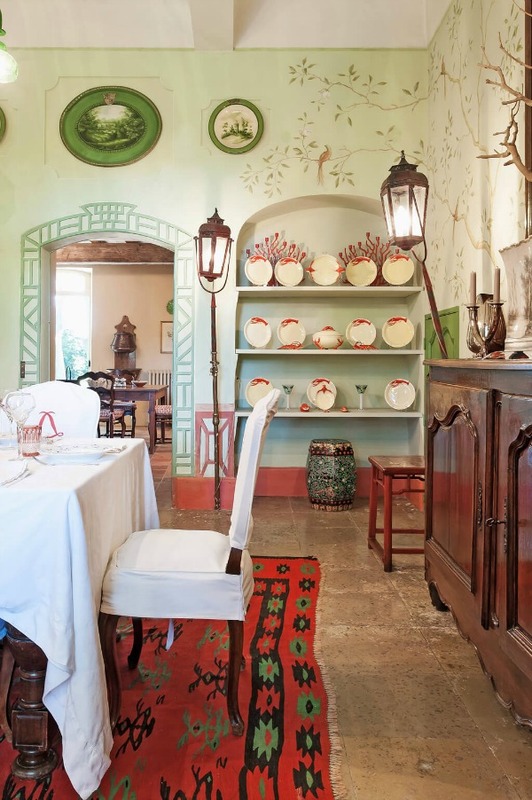 Rustic and elegant: Provençal home, European farmhouse, French farmhouse, and French country design inspiration from Château Mireille. Photo: Haven In. 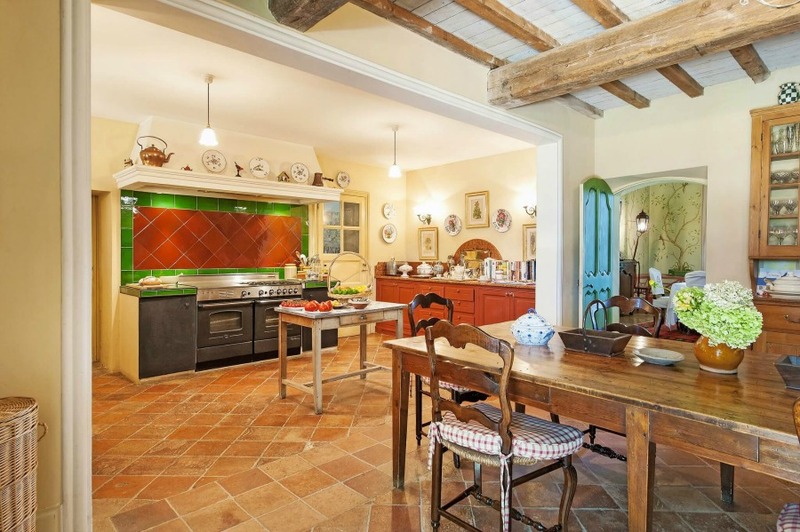 South of France 18th century Provence Villa luxury vacation rental near St-Rémy-de-Provence. Certainly lovely indeed! That Shade of Green on the Shutters! TOLLENS Vert Olivier (satin) purchased at Castorama. 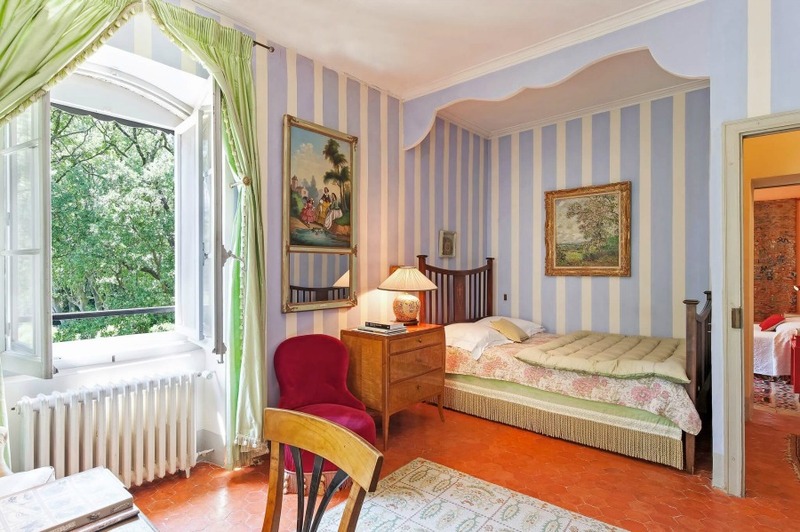 This is a traditional French exterior paint color very popular in France, and I wonder if the shutters at Chateau Mireille are a similar green? French farmhouse shutters light medium green paint color: TOLLENS Vert Olivier. More Glimpses of the Shutters! 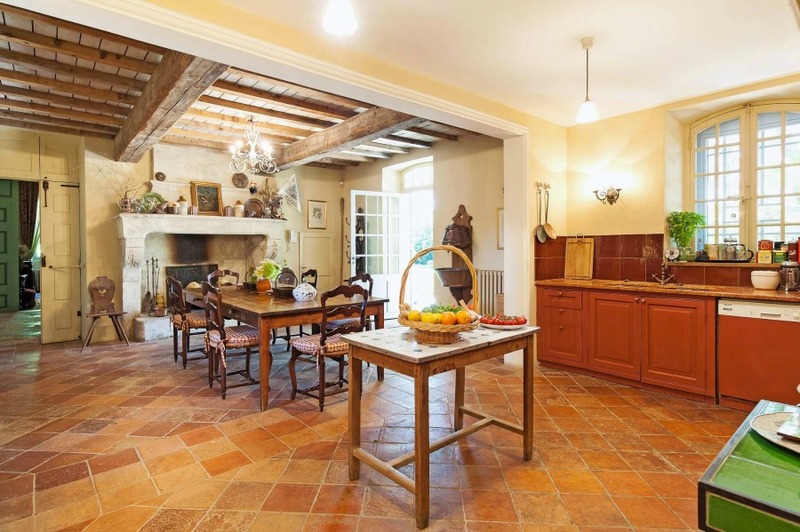 If you have not visited the other half of this bastide tour, do SEE IT HERE. 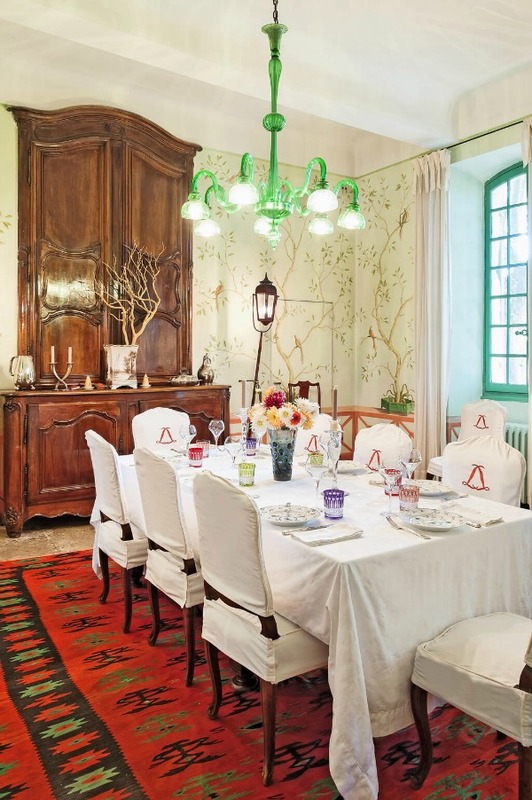 Should you have a moment to visit another luxury property offered by Haven In…a restored 19th century mansion in Avignon with artful, modern and edgy interiors, you are in for a treat! 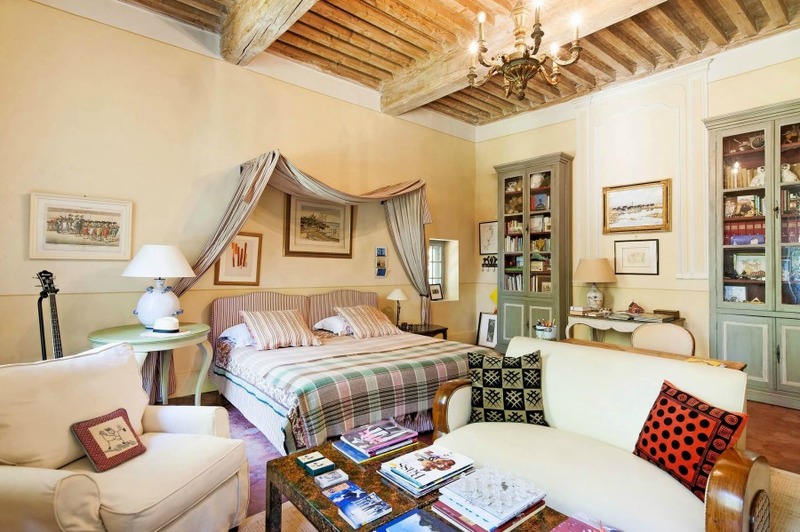 ALSO, see this story about a friendly-priced, luxurious apartment rental in the South of France! 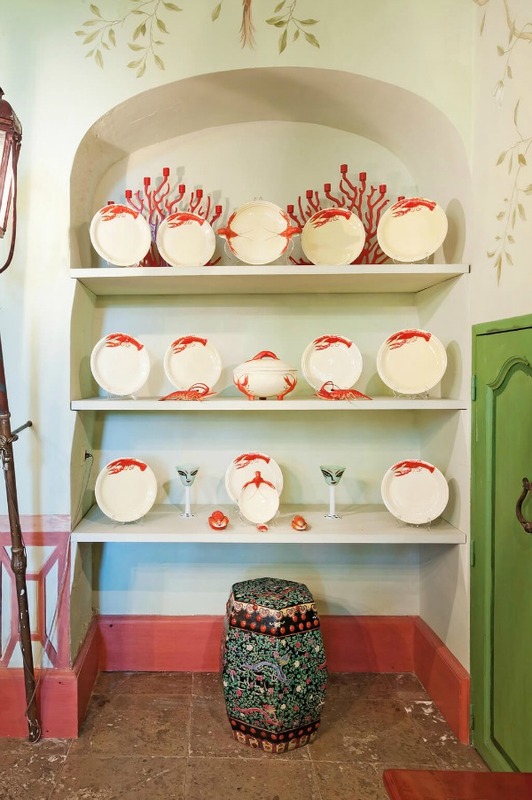 Next Post French Inspired Old World Finds: 40 Beauties! 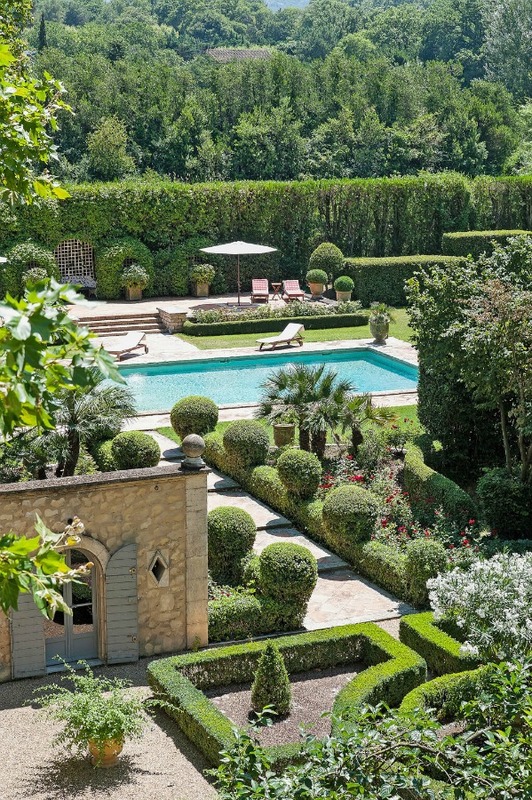 I’m so glad you gave us more on this gorgeous bastide. The gardens stand out for the minimal amount of grass. The south of France is very dry, and grass needs to be watered. Lawns just aren’t suited to the climate. 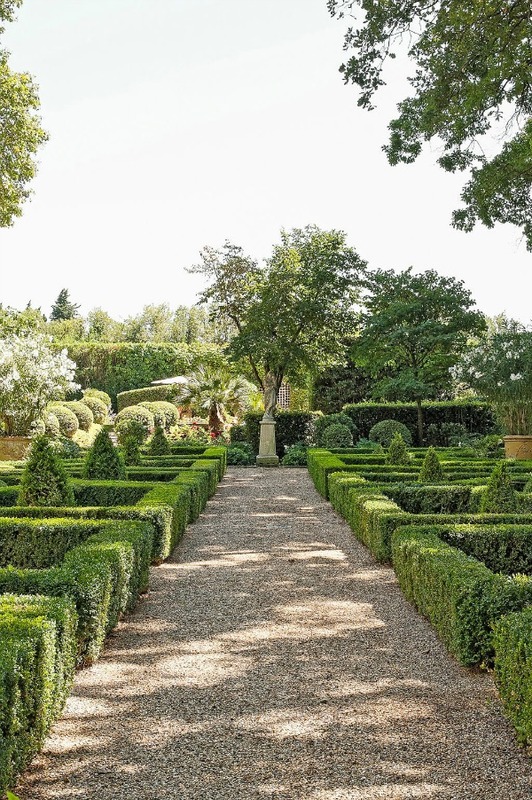 Instead, the vast expanses are covered with gravel, which lets precious rainwater penetrate to the trees’ roots, and the greenery comes in the form of boxwood. Oleander is another regional favorite–it’s native to the area and provides colorful flowers all summer and stays green in winter. I also like how there are so many spots for dining and relaxing outside. It reminds me of the movie “Enchanted April” (a must-see, even though it’s kind of old now). We have three dining tables in our little garden, depending on the wind, the time of day/sun, and number of people. It’s not my home – how I wish it were. 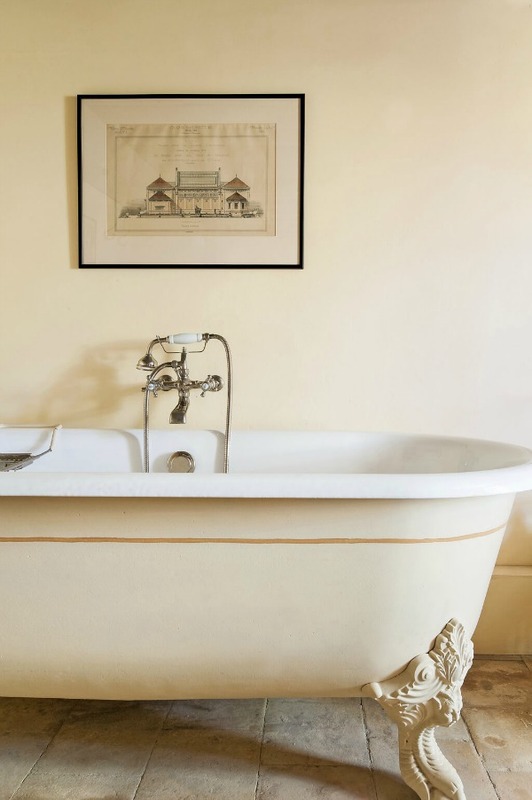 It is a vacation rental from Haven In, and this post celebrates its inspiring interiors.